Who needs Netflix when you have all these great videos??!! We have a new video out today for one of our favorite homes SEAROCK. We have Searock listed for sale and also manage it for vacation rental. Take this tour with Angie to get a peak at what makes it so amazing. You may also enjoy some of these other videos. Let us know if you like them and if you want more. 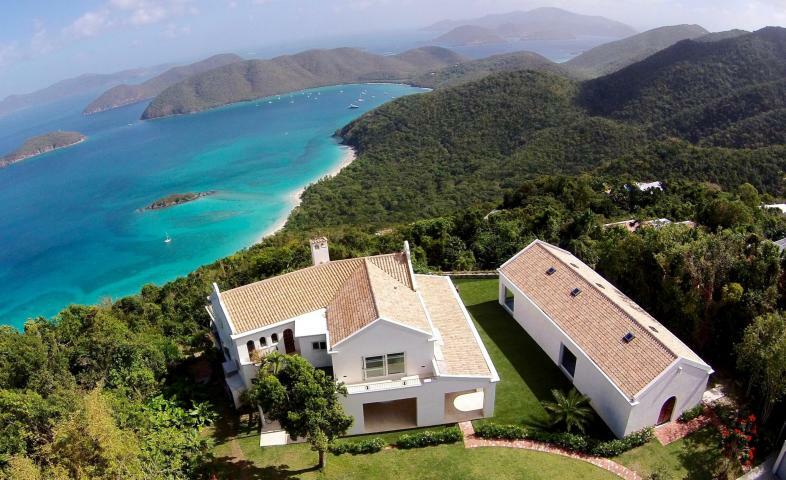 It’s no wonder that Real Estate on St John in the US Virgin Islands is expensive. The island is simply unbelievably stunning. Besides it’s amazing natural beauty and pristine beaches, the island’s people, culture, restaurants and vibe make it a must see destination. The fact that it is part of the United States and that 70% of the island is protected by National Park is the icing on the cake. 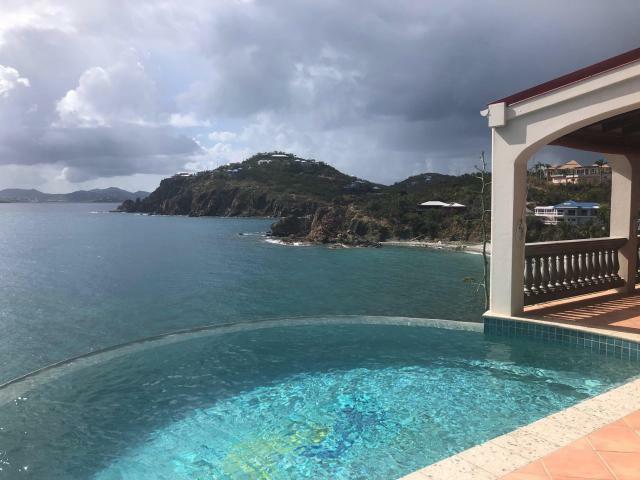 We thought you might want to look at the top 5 highest priced homes on St John, but first, here are a few statistics for you. 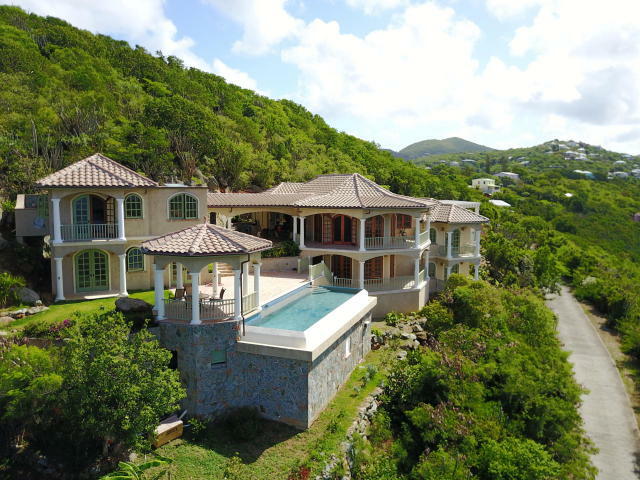 PETER BAY 8 out of the top 10 highest priced homes on St John are located in Peter Bay, a rare private enclave within the Virgin Islands National Park which boasts a pristine private white sandy beach. Do you love sitting on Trunk Bay or Hawksnest. How would you like living there? 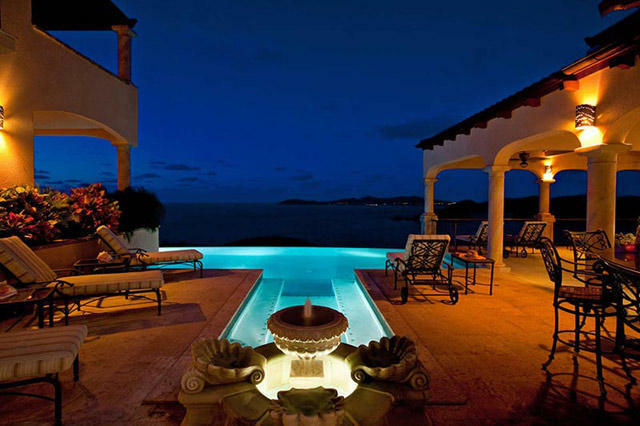 That’s what this house offers – supreme best beach in the world type beachfront. With an infinity pool that really looks out at infinity, this luxurious 5 bedroom home features a poolside marble wet bar and an oversized grand king master suite with home office and an en-suite Italian marble bath with jetted tub. 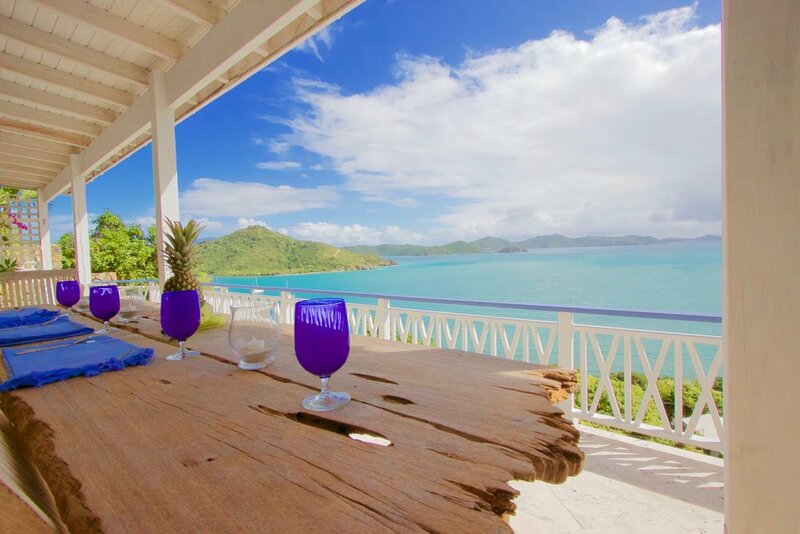 Le Chateau’s 360 degree views and top of the world privacy is what dreams are made of. The blend of classic and modern in this artist built home with blue views spilling in is… pinch yourself…yep, it’s not a dream, it can be yours. 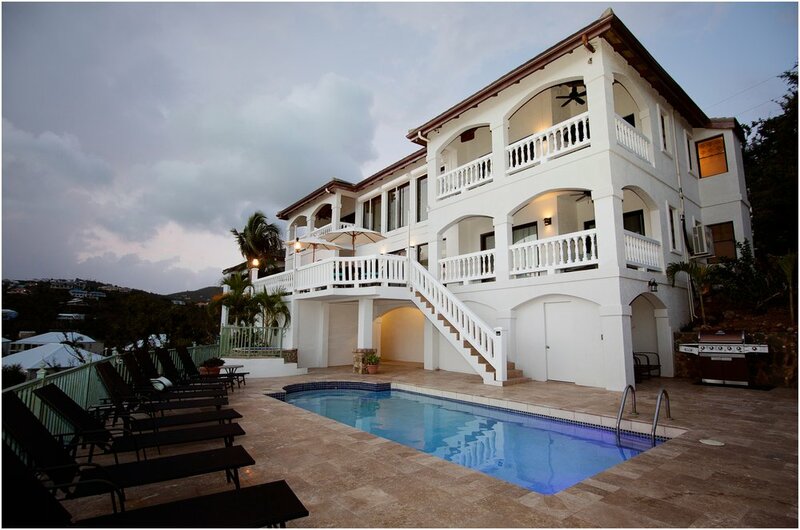 Villa Sunspot was formerly owned by Kenny Chesney but it’s current owners have made substantial improvements which include a 50ft infinity pool with a pool side wet bar and new pool cabana. 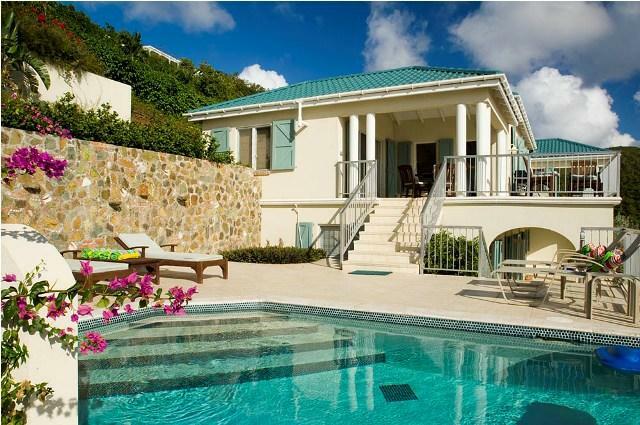 It is a short easy walk to Peter Bay Beach from this Lower Peter Bay Villa. 2018 was a wild year for St John and all of the Virgin Islands. A year of recovery, rebuilding, and regrowth. The island started 2018 with a positive note with electricity being restored to most of the island in late December of 2017. Things just kept going up from there. The magic of the recovery and the energy of the people to make that happen was simply astounding. Within our small company alone, we rebuilt or recovered 16 properties, which now have a combined market value of over $30 Million. Without our team’s immense and dedicated effort, many of these homes would not have recovered their value. Our pride for the recovery of these properties is great, but there are hundreds of other people who took the same initiative and helped get the island back together. We are proud that our homes were 100% open for business by May of 2018. You might think that this would lag the St John Real Estate Market, but instead, the market took a lot of people by surprise with the significant increase in the volume and number of sales for 2018. Check out the stats below or contact us for in depth details about the history of the market and where we think it is going. 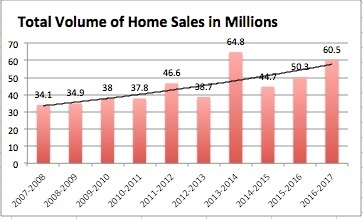 · The total dollar Volume of Residential sales increased by a whopping 86% from $33.9M to $62.9M!! 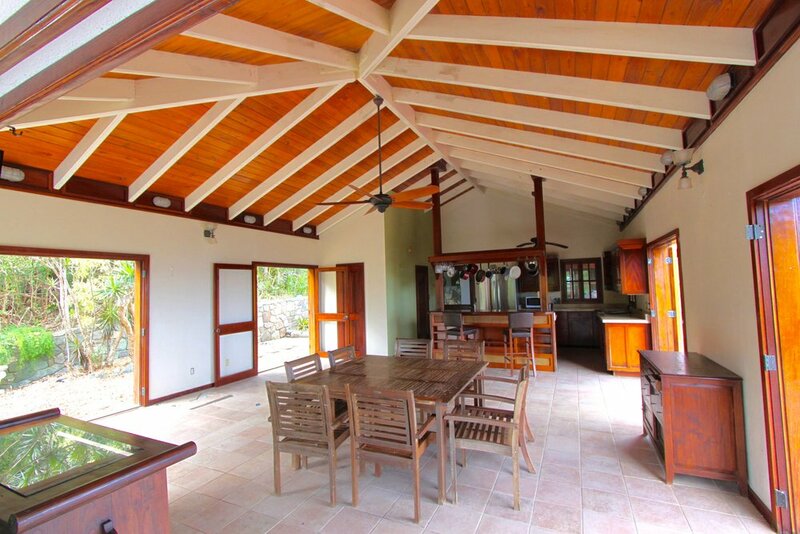 · The increase in building activity post storm has bolstered the power, skill and availability of builders on island. · There are 18 condos on the market from $415K for a small studio to $2.1M for a 3 bedroom/3.5 Bath condo with a private pool. 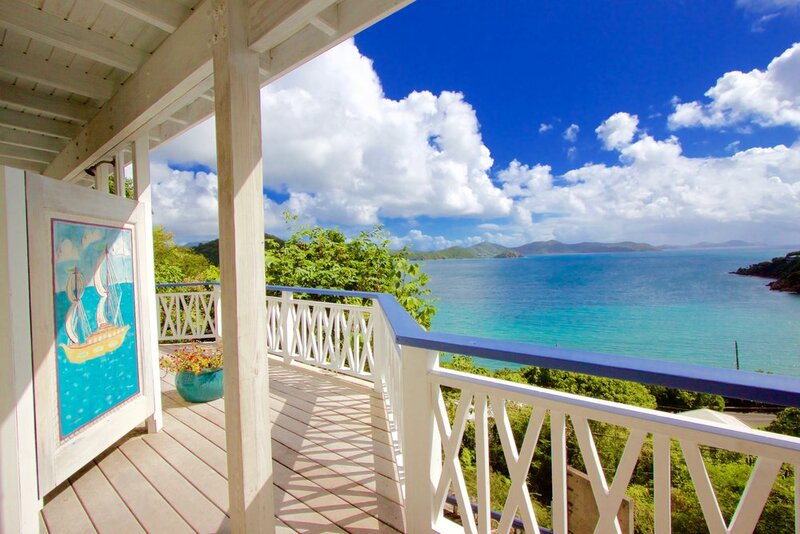 St John is the kind of place that forever holds the hearts of those who visit. Because of that our guests find themselves coming back year after year or more. Their vacation photos and videos get plastered to their social media accounts. A picture of the clear blue water decorates their desk at work. 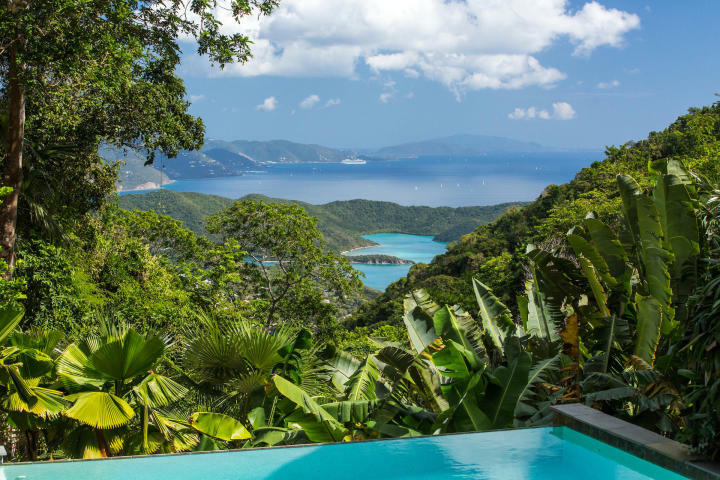 Their screen savers feature a sunset or a view of Trunk Bay, and their stories become dominant with that burned in memory of what this stunning island gives you. All of this makes each St John visitor a little travel ad for all of the people they know. Its old school viral advertising and it works! People who would not otherwise come to St John or even know about it, suddenly find themselves staring at websites and facebook groups about St John and find their way to get here. A lot of times they tag along with previous guests. Sometimes past travelers plan weddings or big events on St John, bringing down 50-100 newbies. But, what happens next may be unexpected. Suddenly these people who may not have originally gravitated to travel to St John on their own are booked and coming. Most have a lot of questions. Some do a TON of research, join the rabid facebook groups, read every website they can find and of course, if they book with a good property manager, get to ask those questions to us. 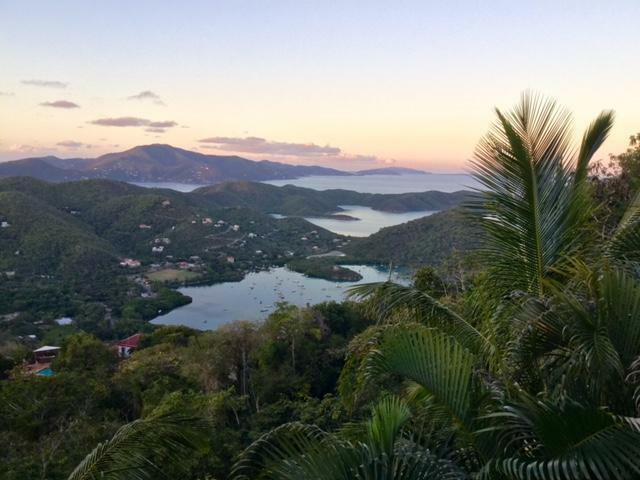 But for those that need something quick to share with new guests or those that are just new themselves and might have some questions, here are the Basic things you need to know when planning your first trip to St John. Of course, we welcome you to call us at anytime during your planning with any questions that you may have, be it about the house, the island, what to do or how to make it work. 2. GROUND TRANSPORT– No Worries!!! Getting a taxi is easy, riding the ferry is easy. On St John you will be met at the dock and guided to your place by our greeters We can also easily arrange private ground and water transport if you would prefer. 4. THE STORM (IRMA is a 4 letter word!, use it wisely) Yes, the island is recovered from the storm – as a first time visitor, I’d be surprised if you noticed. The beaches are stunning, The restaurants are open, the natural beauty never left. One thing you can count on is that we would not be open for business if we were not operating at 100%, and we’ve been back open since March 2018. 6. GROCERIES - Its funny that some people ask if we have grocery stores, but we get the question all the time. There are many grocery stores on island and you can get most of the items you are used to getting in a typical Stateside store. We don’t reccomend that you travel with food unless you really need to eat that venison your brother got last fall on this trip. Food will not be hard to come by, and there are fantastic restaurants on island. We recommend having the home provisioned so that you do not have to shop after a long day of travel. 8. PACKING - All of our homes provide beach towels, beach chairs and coolers. The bathrooms all have hairdryers. The Kitchens are all fully supplied. So PACK LIGHT. You will not need to dress up unless you are in a wedding or something. Island Casual means a light weight pretty dress for a lady with flip flops and for a man it means shorts or pants with a short sleeve button down shirt and flops. Typically though, you are going to dress really casual. Flip Flops are worn because you can easily take them off before you go in the house and help keep sand OUT which we will get to later. 9. SAND – No one asks about this, but we thought it would be helpful to share. When you leave the beach, take an empty water jug, fill it with saltwater and give yourself a rinse BEFORE you get in the car. Your rental car company will charge you for excessive sand. 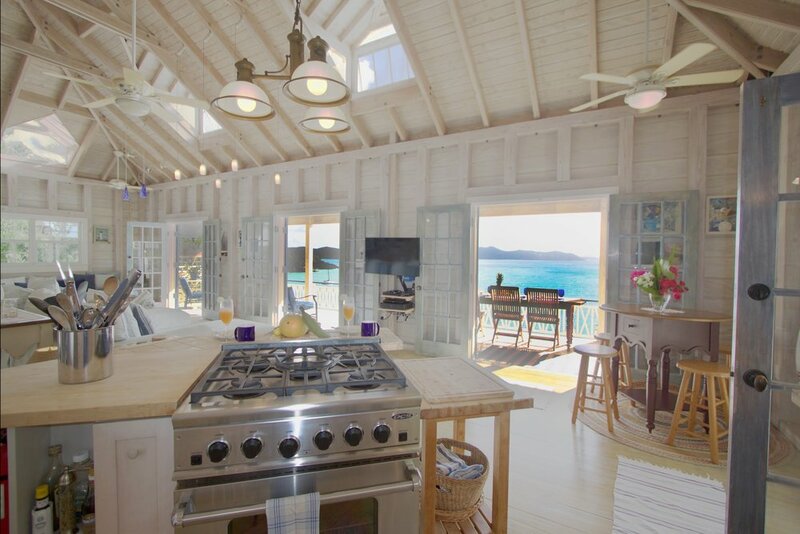 Your house may too, but ultimately, you’ll find it so much nicer at home not to walk on sandy floors inside. 10. WATER – your home may have UV filtered water which is safe to drink and ultimately any water you are served on island is safe to drink. Will you prefer the taste of bottled water? Possibly. Either way, DRINK A LOT OF IT. Have more questions, we are happy to help with answers. Just give a call 340-626-8229 or email anytime to discuss. The Reef Bay Trail in the Virgin Islands National Park on St John is arguably the most well known hiking trail on the tiny island that boasts well over 30 well managed trails, but much like the even more popular Trunk Bay, you can find yourself alone here in the pristine tropical jungle despite it’s popularity. Most well known for the Petroglyphs sitting under the waterfall and for the National Park Ranger guided hike, this trail takes you 2.2 miles down the dense tropical forest, past specimen trees along and across small streams. But you don’t have to do it with a guide and a group, you can easily do the trail on your own. For those of you who hike, the trail is fairly typical in elevations and quite manageable. For novice hikers, you may consider arranging a boat ride back from the bottom, which is what is offered with the guided hike, but can also be set up privately. We hiked the trail this weekend on a clear blue day after a rainy evening and it was nothing short of stunning (again!). The sometimes dry creeks filled the air with running water sounds, the flowers had all squeezed out for our pleasure and the lush canopy provided iridescent green shade. At the famed Petroglyphs, the waterfalls (both upper and lower) were magnificent and filled the air with a rainbow mist. The Petroglyphs were carved as early as 500 AD, but archeologists suggest that some may have been carved over different periods of history from Pre-Columbian times all of the way to the Taino Indians that once populated this stunning rock. 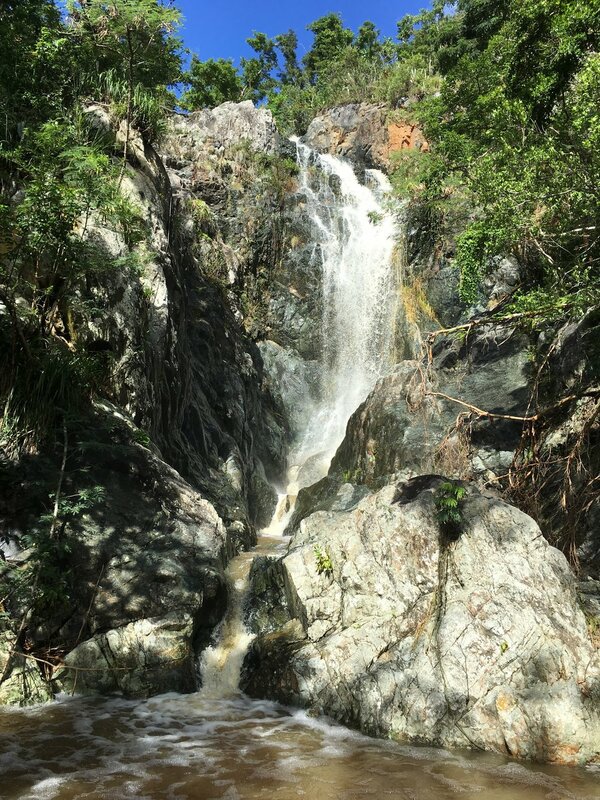 Want to know more about hiking in the Virgin Islands National Park? Contact us anytime! There is something truly special about the Carnival Parade on St John. Technically St John's Carnival is called Festival, but it's nearly impossible not to call it Carnival. Residents of the Virgin Islands walk around and tell each other "Happy Carnival" during, before and after the week's long celebration (which is actually one dense week ending on the 4th of July plus other events spread over a month). The coincidence of our emancipation landing on the same day as the US celebration of freedom helps solidify the festive spirit and is shown in an apt blend of Virgin Islands culture and national pride. Here is a short clip of some of the parade highlights. 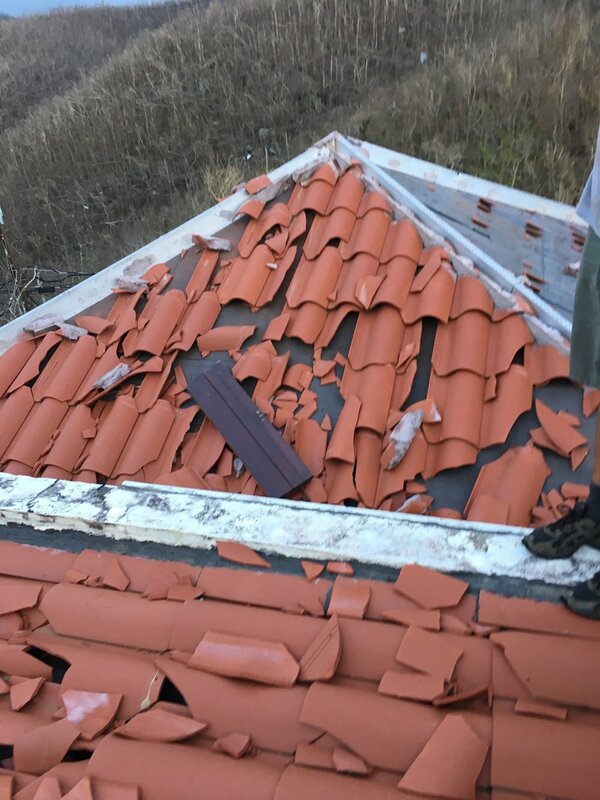 This home lost 90% of its roof, all of it's interior walls and the floors were terminally damaged. Unique Island Assets proudly oversaw the restoration and completed a $1M remodel in just 4 short months, 2 of them without electricity and challenging supply logistics. The home re-opened for business March 17th with celebration. We have tremendous gratitude to the over 100 local workers who assisted in this heroic effort and its contribution to our economy. A lot of big numbers are being thrown around the Virgin Islands, and that is a good thing. In March, FEMA announced that federal funding for disaster relief in the Virgin Islands had topped $1Billion. That is a pretty big number for a population of 120,000 - its $8333.33 per person. Then in April HUD announced $1.6 Billion more. Despite my cynicism for the government, it is without question that the federal response helped us in the wake of the 2 category five hurricanes; Getting the power restored and having a bulk of the trash and debris handled to name a few helpful tasks that were funded. But these funds have really not started to be spent here yet and some people and businesses are already nearly back to normal. That leaves the Virgin Islands in an amazing position to make some long coming large scale infrastructure and government level improvements that otherwise likely would not have occurred. Now, am I skeptical that the funds will be well managed? Of Course! The mis-use of public funds is the rule, not the exception. Again even with my most cynical eye on this, the affects will be very real and very visible. The real estate market has remained very active. 23 homes have sold since the storm between $225K and $2M. That is pretty healthy given the circumstances and not far below the same periods in previous years. (22 in the same period between 2014 and 2015, 29 for 2015-2016 and 33 for 2016-2017) . See the 23 sold homes HERE. There are also currently 15 homes under contract and preparing to close between $395K and $3.1M. See those homes HERE. This activity is probably not based on the future of federal funds, but more on people taking advantage of the opportunities in the St John Real Estate marketplace. Federal monies coming in can have nothing but an additional positive effect on the property values with new and improved infrastructure and the economic benefits of cash injection into a society. It seems that some buyers are either going to luck out with this, or they were savvy enough to see it coming. More likely, Buyers may simply have seen this is as the chance they have been waiting for with some slightly depressed values. The average sold price of homes is slightly down from 2017 when compared with 2018 Year to date. However, total volume and number of homes sold are on pace to be at or just above 2017 numbers. Sellers may also feel the same way with their chance to get out. I can state with confidence that showing traffic is way up. On one of our listings Bordeaux Gardens; We had over 40 showings in 30 days with 2 offers. That kind of traffic is unprecedented on St John. The vacation rental market is filling in well with our homes operating pretty much at historic levels for this time of year. Of the 12 homes we manage, we have fully restored 11 of them and they are open for business as usual. In May we will enjoy about 75% occupancy. This feat was nothing short of heroic, with over 100 local people working on our projects at some times. We rebuilt roofs, walls, floors, repainted, refurnished, replanted and remodeled. The results are stunning and all of the properties feel new. The steady stream of rental guests is welcome and income is very real for homeowners who have recovered. One important takeaway I have from the rental market is that St John continues to have high integrity in the vacation rental product. Travelers seem to wonder and often ask if homes are open or functioning fully and it occurred to me that the marketplace has the same or higher integrity that it had before the storms. Simply, if a home is listed for rent on St John, I have very high confidence that it is in excellent condition and fully functional. Of course there are some self managed or friend managed AirBNB types of rentals that do not have the same level of care as professionally managed homes, but even amongst that group, I feel that the pressure of the marketplace created by professional management brings these rentals up in quality, cleanliness and service. 8 months later, insurance claims are starting to settle. About 70% of our clients have completed their insurance negotiations and have received their checks. These funds are also breathing life into St John’s Real Estate Market. 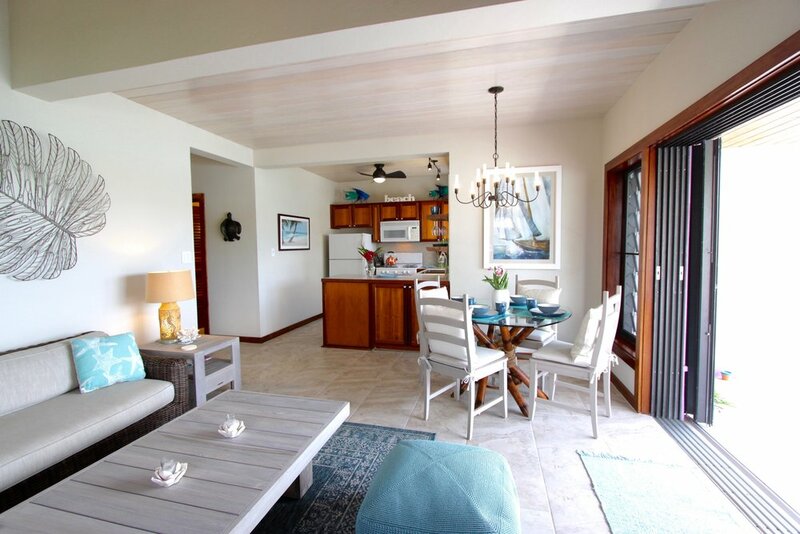 Everywhere you go, you see homes being refit and put back together for the hungry vacation rental market. Older homes that likely would not have seen these kind of remodels are getting the makeovers they needed. Newer homes are taking the opportunity to improve on the lessons learned during construction. We have spoken with the insurance industry leaders here in the Virgin Islands and also learned some very positive realities. About 7 years ago, windstorm insurance rates averaged about 2% of the replacement cost of a home. Over the last 7 years this rate has steadily declined to a territory wide average of 1.8%. The good news is, these insurance companies expect rates to simply return to the 2% level for now. In real terms, this number is pretty manageable and quells the fears many had about insurance going forward. For an example, take a home that sells for about $1M, the replacement cost would likely be about $750K. What that means is that last year you would have paid about $13,500 for an annual windstorm policy. This year, a new policy on that same home would be $15,000. No doubt, that is an increase, but its far less then what most of us feared, and those who simply renewed their policies in many cases saw no increase at all this year, even whilst collecting large settlement checks. Check out this Washington Post Article which sited Unique Island Assets as experts. All told, we see opportunity, stability and improvements in the economic future of St John. 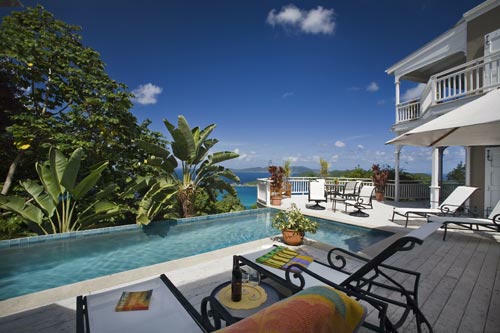 We feel confident in the Vacation Rental marketplace and the insatiable commitment to St John from our visitors. We feel comfort from our federal government's oversight and funding. We feel relief that our insurance rates are not going to be attacked. Mostly we feel stronger and better despite the immense hardship we have endured. Contact us anytime if you'd like to discuss any of these topics further. 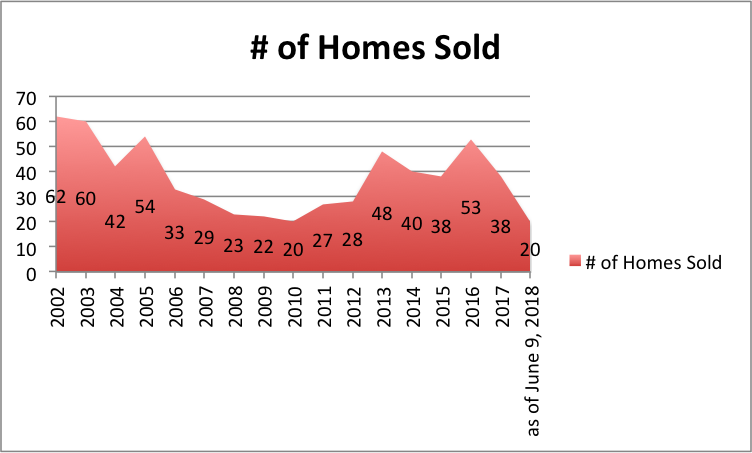 What did the hurricanes do to St John’s Real Estate Market? 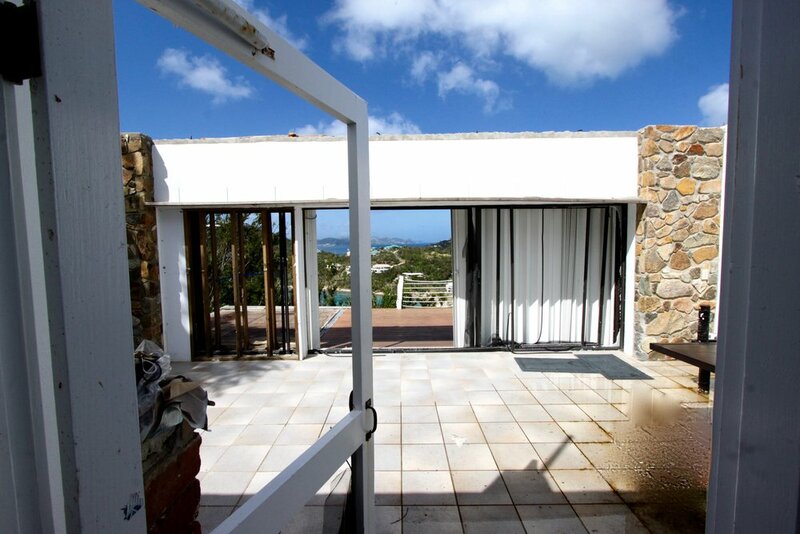 St John's Real Estate Market has literally had it's doors blown off. Contact us to talk about what that means for what you are looking for. Hurricane Irma followed by Maria has permanently left her mark on St John in the U.S. Virgin Islands. The destruction is nothing short of emotionally and physically exhausting. Many are still without homes. Our small island community has literally been scattered thousands of miles apart. People have evacuated to all parts of the globe. Families are separated, lifelong childhood friends will not have holiday dinners together this year. Electricity will likely not be 100% restored for many months. No single property on St John escaped without some degree of damage. St Johnians rose up from the rubble to care for ourselves first, but we are thankful for the immense outpouring of support that has come from all over. People online remain eager to help. Homeowners struggled to get information about their damage with no communications. Travelers with vacations planned panicked about their deposits and worried how they could help their favorite vacation spot. The effects were wide reaching. The road to recovery is going to be long one. Yet still, people remain very interested in Real Estate on St John. Take a look at this BEFORE AND AFTER. Many homes were hard to approach on first check. This home appeared totaled. However, after hard work and a big crew from Unique Island Assets, we got the interior fully cleaned out and recovered. 5 days after the first storm, I flew into San Juan and found a supply boat heading to St John from Puerto Rico. After loading it and 3 additional boats with water and other supplies we began making the crossing only to unload again. On the boat, I met a homeowner trying to get back to St John to assess his property. He had $750,000 in cash and was ready to buy distressed property. In the first emails I received, buyers were already contacting me. The day after a few more; after that even more. Here I was trying to find a way to communicate with my wife and daughter that I was OK and that all of our friends were alive and people wanted to know if there were any deals out there. I was still in shock. My arms were still vibrating from 12 hour chainsaw days. The shift was happening. The opportunities were being shuffled in a power play. The drool was starting to pool in the streets. I had to figure out how to answer people, but I also had to figure out how to get fuel, water and food. You adjust to the life of challenges, and if you have been on St John for a while, you adjust relatively easily. You get comfortable with the crazy, and then you realize, damn, I need to get to work. Not only getting back to being a broker, property manager and boat captain and musician as I have been for the last 19 years but now even more hats are added to my island closet. So I searched for the answer over the hum of our generator and came up with these 5 steps of Real Estate Market Recovery after a Hurricane for a small resilient island with undeniable draw, desirability and beauty. Step 1 – “When There is Blood in the Streets, Buy Real Estate” - I had heard this saying years before from a respected real estate investor. It’s vivid, awful and insensitive, but if you strip off the harshness, it has some wisdom in it for the hard ball investor. It makes sense to think you can score big in the immediate aftermath of a disaster. People are confused and desperate, wholly uninformed and emotionally unstable. Those who are not see the weakness and want to strike. Sellers may very well want out with the task ahead seemingly unbearable. These deals are most likely done outside of the typical real estate market, cash only. It is simply not possible to immediately close unless you are prepared to buy before the storm even hits. Even then, the government is shut down. Still, there are historic deals that occurred in this phase. The Peter Bay development for example, is said to be negotiated on the heels of a major storm. For sellers, keep your wits about you and try to keep emotions out of it (use a Realtor to help). For buyers, you can try to strike with a quick offers, you never know how someone values their property until you make an offer. Step 2 –“Insurance is a Dirty Word” - Windstorm (Hurricane) insurance is an unpleasant product to buy. It’s bank required so if you have a loan, you probably have it. It’s expensive, running at three or more percent of replacement cost with very high deductibles (5-10% of replacement cost). Often people don’t insure for loss of use or loss of business in the case of rentals. In addition, people don’t insure “other structures” like fences, electrical monuments, car ports, garages etc. This leaves the insured technically underinsured and most owners short on cash for recovery. When claims get settled, many owners will simply look at those numbers and then call their realtor to get out. This second phase market will be busy and is where most of the hurricane transactions will take place. Buyers will cash in on great deals for their new “projects”. Step 3 – “Company Town” – St John is now in a housing crisis! Homes that once were vacation rentals are now occupied by as many as 15 relief workers. Soon though, the relief workers will leave and the construction crews will arrive. Where will they all live? The island’s housing economy will have to adjust to recover, but vacation villas are unlikely to get involved in long-term rentals. Contractors will be forced to buy or rent employee housing to be able to get anything done. The already weary manpower pool will only dwindle if we cannot house them comfortably. Homes that can immediately provide housing will collect big on this and savvy buyers will capitalize on long term housing first with vacation rental goals in the long term. Step 4 – “Flip Flop” – Flipping homes is one of those things that sounds like gold coins dropping in the bank to the novice Real Estate Investor. It looks easy, and for many people in the States, it may be. On St John, it’s another matter. On St John, flipping a home is no (johnny)cake walk and experienced investors on island will tell you, there is no cheap way to do it. There will be plenty of people looking for deals on project homes. They will pour their life into it. They will write a blog about it. Then they will add it up and list it for sale on the market for more then their broker suggests. This could clog the market with inventory. · Land – land sales will increase with values remaining stable or increasing from pre-storm values. The only real effect this storm had on Land is that it did some of the excavating and land clearing for you. Now you can see the view that Realtors have been telling you about and trying to sell you all these years. Yes, it was always there!! · Unrepaired Damaged Homes – Damaged homes sadly will have damaged values. Simply, it will be hard to recoup the inflated price point that some poorly constructed homes once had, and those that were well constructed but must be sold damaged now come with a scar that will be hard to shake from the record for a long time. · Repaired Homes – These homes will be slow to come to the market. Many of them will come on with inflated prices. Read your seller’s disclosure forms well buyers! Homes that are built to withstand will have value. Those pieced back together will remain stagnant. · Un-Affected Homes – Homes that escaped relatively unscathed will see an immediate drop in activity. It is unlikely buyers right now are thinking about buying a full price home, but they should be. In time, these homes will boast their resilience to Irma and Maria and will come out ahead. Masonry homes with rafters poured into walls, back up(i.e. full time) generators, and quality shuttering systems will reign the marketplace when the Market recovers. These will champion the final stage of the recovery and define the new value of St John. Buyers would be wise to consider these homes while demand for them is low. Looking to get in on the action? Look to your savings not to your lender. Cash deals are king right now and lending will be a challenge especially with the unknown insurance realities, which are fast approaching. Search the MLS here as listings get updated with new info about post storm conditions. CONTACT USto talk about your real estate goals and see if you can find the deal you have been waiting for. Hurricane Irma massively affected the vegetation on St John. She stripped all of the leaves and bark from the trees that she left standing leaving an otherworldly look that was stunningly beautiful in a awe inspiring way. It was 9/6/17. My Wife’s Birthday. St John was about to get hit by the eye of a category 5 hurricane with sustained winds of 200 mph. Hurricane Irma blew over us leaving disaster and destruction behind. Later that day, St Johnians went outside to see what was left of their beautiful island paradise. Sadly, not much. But amazingly people survived, we are ALL ok. A few deep breaths, tears of despair and loss, and utter shock at the mass of devastation. Then just 14 days later Whoosh! Another category 5 hurricane brought more rain, more destruction to the barren island and more exhaustion to our community. Wow, what did we do that made Mother Nature so angry? Whatever we did or didn’t do does not matter; she showed up and blew us down. However, we are strong and she cannot knock us out. The rebuild is real, it is happening and we began just moments after the first storm. This Haystack was once a lush jungle. This photo is from 5 days after Hurricane Irma. Now, this hillside is green again, just 6 weeks later!!! The people of St John are of unique character and everlasting resilience. We are a close knit community that knows how to come together and rise above the problem. We are dedicated, kind, capable, smart independent folk that pull together as a team when the going gets rough. And with huge amounts of people that care deeply about St John that live off island, the love is flowing right back to the beating pulse of LOVE CITY. This community both on island and off is going to save this place and St John will be rebuilt in more beautiful ways than before. The warm turquoise waters that we all live there for will still be as clear and breathtaking as they were. The flowers and trees are growing fast and it will be paradise once again soon. One of our operations captains Keith, Sets plywood to cover a blown out door. Our company motto "PROBLEM SOLVED" proudly displayed! Rebuild - think about that word. Anytime you build something again it usually gets built better, smarter, stronger. The things that were weak before will now be built with greater ingenuity and materials to hopefully make it through the next storm. Things that owners didn’t like about their homes get to be redesigned to fresh updated modern styles. Furnishings will all be new and budding interior designers will have their chance to be inspired again and give homes a new look. Clean energy and renewable resources will hopefully become the norm and solar powered systems will make our island greener. We must look toward the light in this disaster and get excited about what it really means to rebuild. A second chance, a reinvention. If I were a tourist I’d be excited to see some of the rebuilds of your favorite villas and resorts. Just think, if you are the first guests to stay in some of these places it will be completely brand new! Our crew has some friendly competition (more like cooperation) with other groups here on island. Great momentum has already begun with teams put together by Kenny Chesney and the Bloomberg group. They have cleaned up a great deal of Cruz Bay and the North Shore and have helped lots of small business owners begin to get up and running. The National Park has crews in place clearing the hiking trails and cleaning the beaches. St John is alive and well and working feverishly to make it back and hopefully have a tourist season by winter. 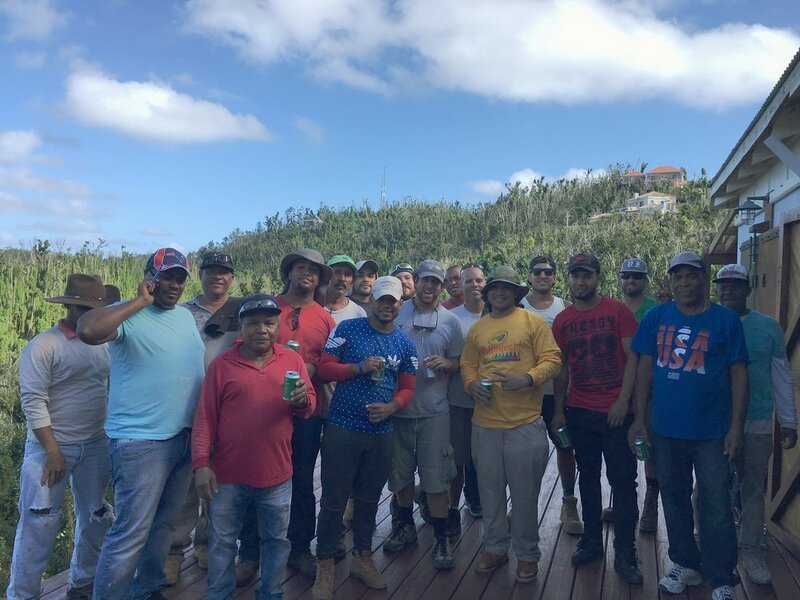 Here at Unique Island Assets we have an amazing crew on the ground and are committed to rebuilding stronger and better. Our team's tiresome love for St John and the community keeps them going and pushes them to work harder even under the worst conditions. Our company is also eager to grow with this challenge and is seeking new properties to manage and help overcome this road ahead with dedication, knowledge and spirit. We believe in the power of St John and in all of us and we are going to rebuild toward the light. See you on St John soon. Me in my temporary office on 10/23/17. The island is already green and the water is clear and blue. Time to start thinking about a trip to St John in February or March!! On St John, which is centrally located to all of the Virgin Islands, we are fortunate to have easy access to some pretty incredible places. In my many years of captaining day sail charters out of Coral Bay I got to spend a lot of time at some of the most secluded and stunningly beautiful destinations. Some of them just a mile or two from the house, others within a day trip distance. Traveling between islands is traveling between worlds. 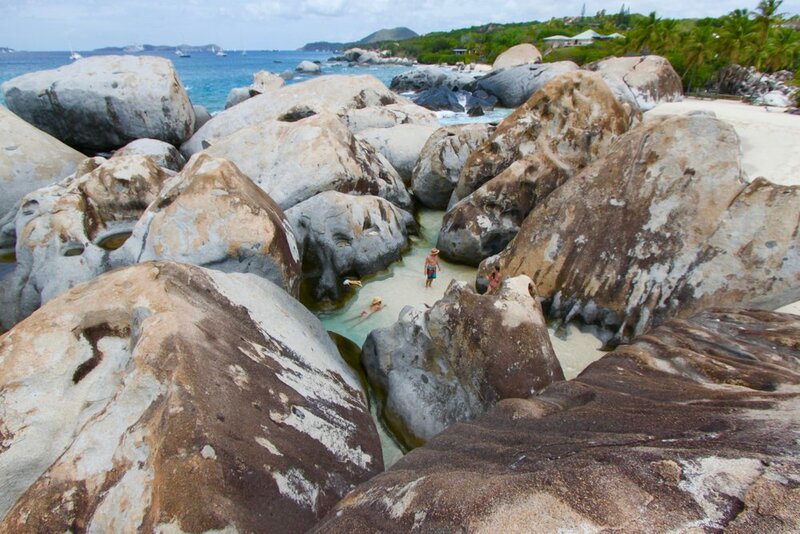 Virgin Gorda's famed "Baths" is one of those day trip spots and is nothing short of spectacular. 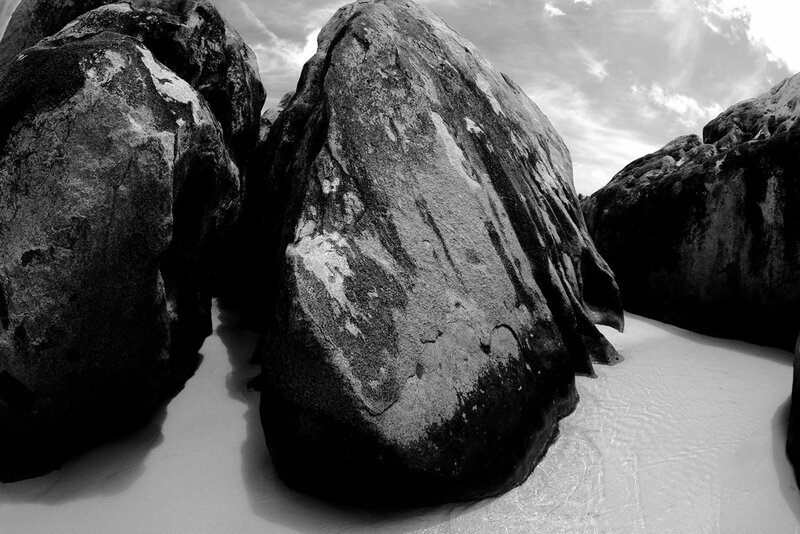 The impossible sized stones piled on white sand beach create pools, caverns and valleys of turquoise water. One can feel the age of the earth under and among boulders that big. St John is stunning and special for many reasons, but the Virgin Islands National Park is probably one of the most important. 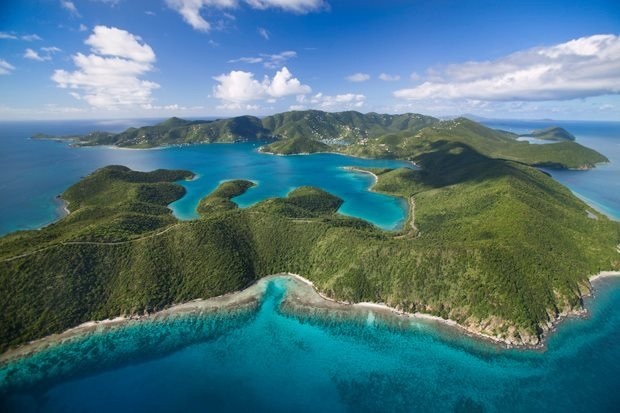 The Virgin Islands National Park encompasses nearly 70% of St John by land. Being the largest land holder on St John has a profound affect on the island, it’s politics, it’s culture and it’s jaw dropping natural beauty. The National Park’s protection of St John’s tremendous natural resources and scenery is why our beaches are so pristine, and why the demand for St John as a tourist destination remains so high. Not to mention the undeniable fact that the VINP not only maintains property values, but drives continued appreciation of the Real Estate Market on St John. Just a small piece of the Land and Water's Protected by the Virgin Islands National Park and the Virgin Islands Coral Reef National Monument. What you might not know about the park, is that it also includes over 5650 acres of submerged lands which protect the Coral Reefs and diverse collection of animal species that inhabit our shores. In addition to the huge acreage held by the park, The Virgin Islands Coral Reef National Monument adds another 12,700 acres to that! 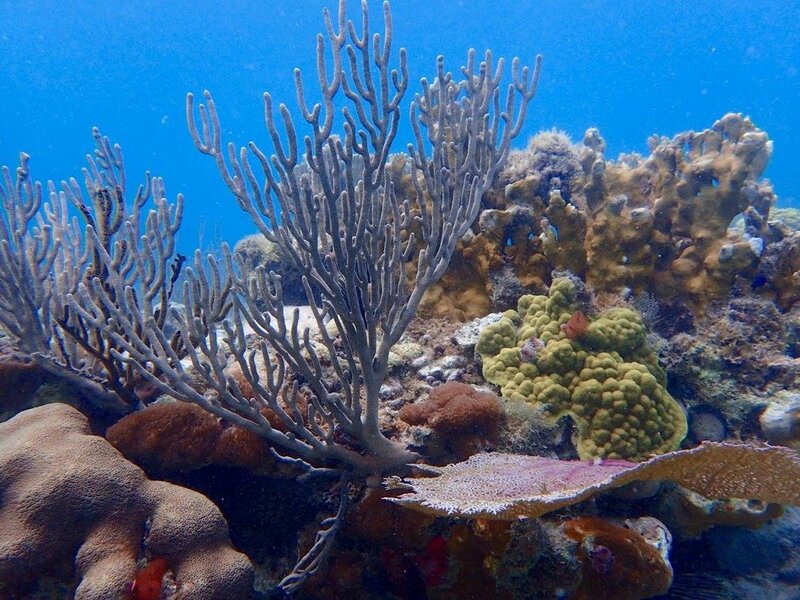 This protection makes St John an amazing destination for Snorkeling and Diving. Don’t like to snorkel, no worries, you can easily enjoy the marine life that lives the slow life here in the tropics from the beach or from the boat. For those that do want to snorkel, we are always asked where is the best. We have put together our favorite 8 snorkel spots in no particular order below. Check these out and tell us yours! 2. Haulover Bay – Park at Haulover beach and enjoy the southside easily without a walk, or more advanced walk to the Northside and snorkel to the east for Stunning Coral. 3. Salt Pond – Hike down to Salt pond beach is about 1/4 mile. Turtles, Rays and some great Coral out deeper. 4. Maho Bay – Park in the parking lot at the east end of the beach, Right across the street swim straight out toward the dinghy channel markers (red and green). Look for large turtles feasting on sea grass with Ramoras on their backs and Rays swimming underneath. 5. Flanagan Island and New Found Bay – Getting out on the water in a boat is a must do for any Virgin Islands Vacation. 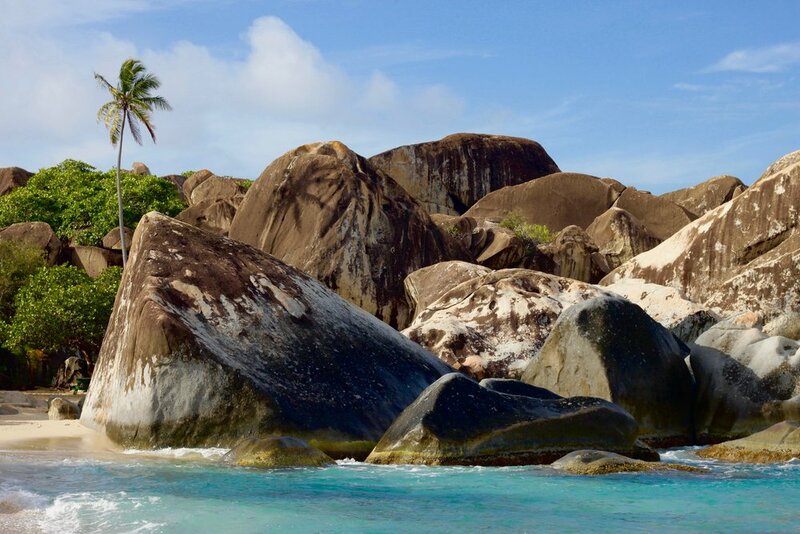 These two stunning snorkel spots are only accessible by boat. We recommend Flyaway Charters. Captain Colin and I spent years taking tourists to these spots and awing our customers with the deep clear water and amazing Coral Structures. Colin is still doing it and this is a trip that should not be missed! 7. Windswept point – Snorkel out of trunk bay to the east around the point– life guards may try to stop you, but if you are a good swimmer and the North Swell is not up, this can be amazing. Thanks to your business and support, we are thrilled to announce the formation of UNIQUE ISLAND ASSETS our new Real Estate Brokerage on St John. Running our own brokerage provides us with the ability to offer a more robust suite of real estate services. We now have greater flexibility and opportunities for creativity and innovation in marketing so that we can better serve our client's real estate needs. Pairing our brokerage with our existing property management company is the perfect match to offer our customers and clients 100% coverage for their real estate needs on St John. Since forming Unique Island Assets 2 weeks ago we already have two amazing new listings!! 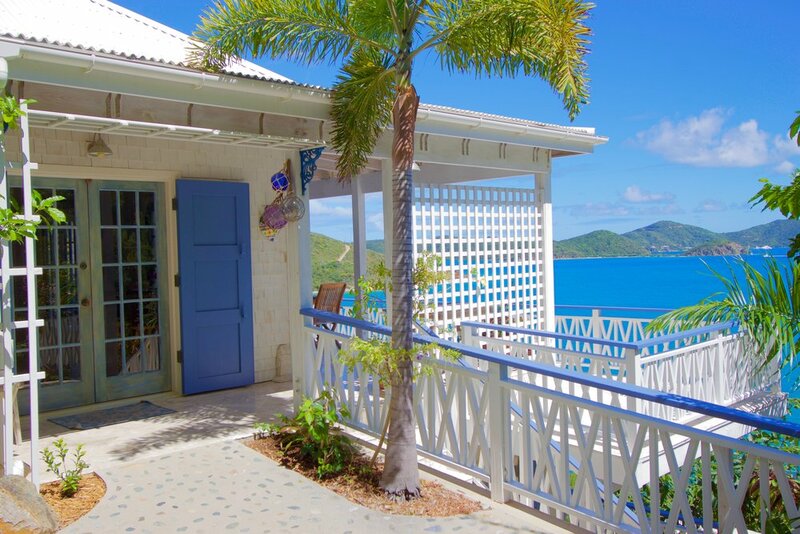 ''Sunset Cove'', a very private and charming masonry home in Chocolate Hole East, offers stunning sunset views to the west over Chocolate Hole Bay above Pillsbury Sound to St. Thomas. Currently configured as a 3 bedroom, 2 bath rental home on two levels it has wonderful opportunity for immediate expansion with a 4th bedroom that is now used for owners' storage. There is a large covered deck with outdoor dining table and comfortable hammock on the upper level, plus another expansive open deck on the lower level with a delightful new hot tub and wet bar plus another comfortable hammock for more lounging and relaxing. A third deck is located directly off the kitchen with a barbeque area. This property has deeded access to two beaches at Chocolate Hole and Hart Bay. Searock's main feature besides meticulous construction, easy access and perfect condition is the fact there is a view from every room and every part of the home. We are very excited about both of these listings and have already been scheduling showings. CONTACT US now for more details on these homes. Many clients know us for our exceptional service that goes above and beyond. Now, with our own real estate brokerage, we can offer an even higher quality of service.